Chicago Street Decorating Center Cabinetry will turn your dream kitchen or bath into a reality! When you are ready to take the exciting step towards planning a new kitchen or bath or remodeling an existing space Chicago Street Decorating Center can create a specialty cabinetry layout to suit your needs. We’ll help you from start to finish, so the new space will function well and reflect your personality. Rest assured, our dedication to service means your dream project will soon become a reality. Whether cabinetry adds drama or serenity to your space, our extensive selection of products, finishes and styles can help you achieve the right look to personalize your living space with the perfect combination of cabinetry details. Our design consultants listen to your needs and dreams so your living space is so personal it could only belong to you. Our color computer drawings will help you feel confident in your selections. 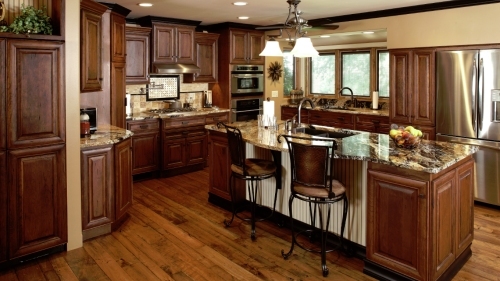 Explore samples of our work in Kitchen, Bath and Specialty cabinetry and Countertops. Visit with our team for your needs in any room of the house.